December 6th in WordPress Themes by Wordpress Jedi . Churches and religious organizations need to have an online presence. Many of these organizations raise lots of money online for their cause. If you plan to follow a similar approach, you need to make sure your website looks good. 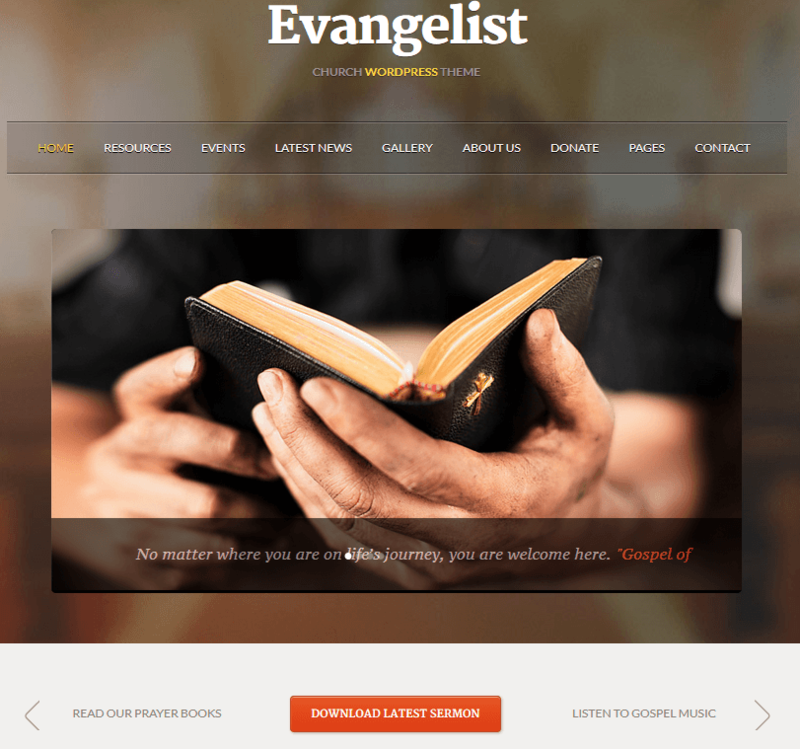 Evangelist for WordPress is a good looking theme for church, charity, and prayer group sites. Evangelist has a responsive and clean design. Evangelist has everything you need to promote your cause online. You can upload your images, ask for donations, share your galleries, offer downloadable items, share your news, and help your visitors keep up with your events. The theme offers auto image resizing and custom widgets to make your life as a webmaster easier. 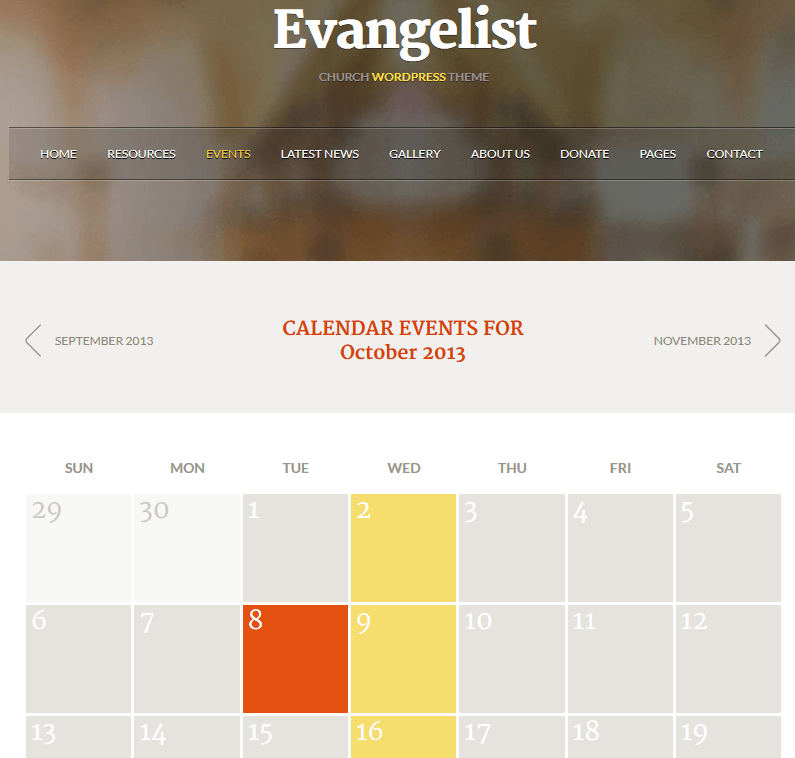 Evangelist is a premium theme for churches, religious organizations, and prayer sites. We have seen some flashy church sites in the past. This theme happens to be simple and does what it promises.